Ricoh has been in the 360-degree camera game for a long time—way before johnny-come-latelies like Samsung and Nikon. 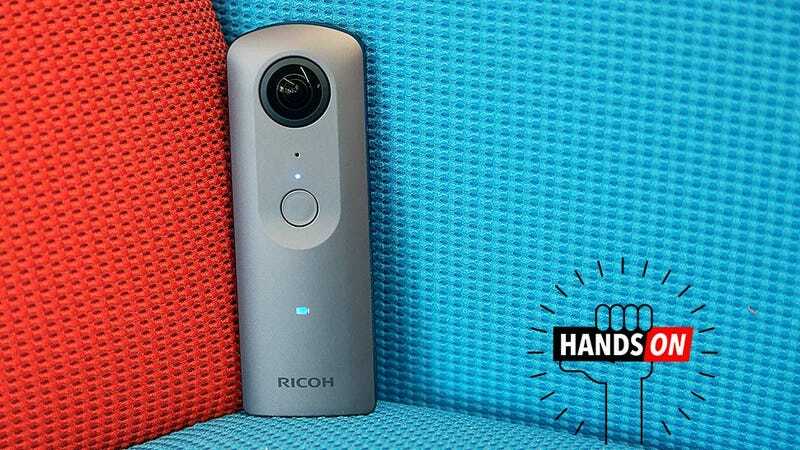 Things started back in 2013 with the original Ricoh Theta and now four years later, the company is back with the $430 Theta V. New features include 4K video and spatial audio capture, however, even with all those bells and whistles I’m having a hard getting excited about Ricoh’s new camera. 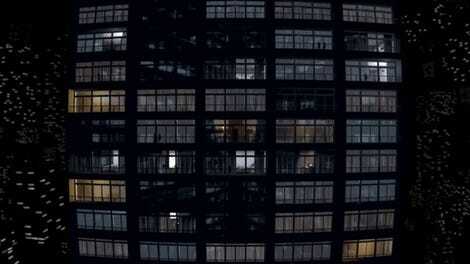 The problem isn’t with the camera itself, it’s the medium. As I think back on the thousands of videos I watched since 2013, not a single 360 video sticks out in my a something truly memorable. Even when I dig a little deeper and consider things like Casey Neistat’s video about droneboarding or a tour through California Extreme with Steve Lin and Drew Scanlon, the source of the white blinking guy meme, I can’t help but think that both of these clips would have been better as boring flat clips. Now, it must be said that both of the videos above were shot on Samsung’s Gear 360, which isn’t quite as capable as the Theta V. But even with UHD 4K recording at 30 fps and super simple-to-use Bluetooth, wi-fi and Miracast connectivity, there isn’t that much separating these two cameras. No, the real fun lies in how easy and fun 360 cameras make recording your adventure. In the short time I spent with the Theta V, I had a blast walking around not needing to worry about composition or audio. The Theta V’s slim profile makes it easy to hold, and its four onboard mics mean you don’t have to worry about where sound is coming from. Setup is dead simple too. Just touch the power button to turn the thing on, press the mode button on the side to select photo or video and then slam on the big button in front when you want to start shooting. If you want more control over camera settings, all you have to do is pair the Theta V to your phone using Ricoh’s free app. The Theta V can handle up to 40 minutes of 4K video in five or 25 minute chunks. When you want to get files off the camera, you can use Ricoh’s free mobile app to download media to your phone or use the microUSB slot to transfer things to your computer. My one major complaint is that since there’s no slot for removable media, you are limited the the Theta’s 19GB of built-in storage. For those more enthused about 360 video than I, you should know that other improvements on the Theta V include less delay between still shots (down from 8 seconds to 4 seconds), faster shutter speeds (up to 1/2500th of a second), and a slightly expanded ISO range (up to ISO 3,200) in manual, aperture priority, and ISO priority modes. And with a Qualcomm Snapdragon 625 chip powering the whole thing, the Theta V boasts faster processing times and transfer speeds too. From left to right: The $200 TW-1 underwater housing (good down to 30 meters), the $430 Theta V and $270 TA-1 external mic. The $430 Theta V goes on sale today alongside the optional TA-1 mic, with shipments going out sometime in mid-September. And for people looking to record their underwater adventures, Ricoh is also making the TW-1 underwater housing, which is due out in October.